Southern Utah is full of unique opportunities for exploration. Sure, there are plenty of popular trails and national parks that provide breathtaking, yet crowded adventures, but if you search around you’ll find a couple of hidden gems. Little known Spring Creek Canyon near Cedar City, is a sensational spot for a family-friendly hike. You will see beautiful mountains, light brush, and a stunning slot canyon at the end. Do you want a closer look at the best sights and activities around Southern Utah? Then request our free Vacation Guide! Spring Creek Canyon near Cedar City is a fantastic spot to experience Southern Utah’s other-worldly landscapes without having to travel far from the Brian Head area. Make your way to Cedar City and head 20 minutes south on Highway 15 to Kanarraville, where you’ll take a left on to an unnamed road. At the end of this dirt road is ample parking and the Spring Creek Canyon Trailhead. Time to start exploring! This 4.9 out-and-back hike begins in a canyon almost immediately, and you’ll wind through a valley in between small mountains and light brush. Once you reach the end of the first stretch, you’ll encounter the reward. The slot canyon in Cedar City’s Spring Creek Canyon is a mini version of The Narrows in Zion National Park. Follow the dry creek bed through these tight twists and turns until you can’t travel any further. Then, you can turn around and trek the 2.5 miles back to your car! If you’re with family members of varying ages and abilities, the Spring Creek Canyon Trail near Cedar City is the perfect choice for an afternoon hike. The relatively flat ground of the path makes it accessible for everyone involved. One of the best parts about this trail is that it is still relatively unknown, allowing you and your family to enjoy a quiet trip through a unique landscape. Spring Creek Canyon borders Zion National Park to the south, and it’s only a 45-minute drive away! Unless you plan on visiting The Narrows in Zion, then bring your camera to snap a couple of shots of the slot canyon here. The corridor-like passageways through Spring Creek Canyon make for some unique photos to take back home with you! There are also a few good landscape shots you can take towards the beginning of the trail, especially in the fall when trees are in full bloom. While Spring Creek Canyon near Cedar City is a short and easy hike, it’s still important that you pack a few essentials for your trip. After taking a hike in Spring Creek Canyon, return to your comfy and spacious Family Time Vacation Rentals property. We offer a large selection of homes and condos in Brian Head, Duck Creek Village, and other surrounding areas. Each of our cabins has a unique location that puts you less than an hour away from Zion National Park, Cedar Breaks National Monument, Dixie National Forest, Bryce Canyon National Park, and several other world-class attractions! Whether you love to hike, fish, bike, or stargaze, you’ll find your favorite outdoor activity here! 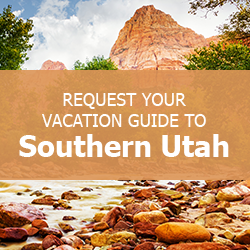 Ready to plan your Southern Utah vacation? Book your rental now and get ready for an adventure of a lifetime!